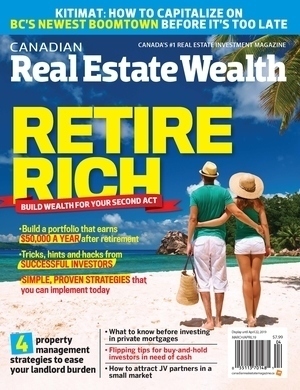 Compounding returns is what makes income properties an effective wealth-generating option for investors. Unfortunately, the effects of mistakes made when buying and holding can compound, dragging-down performance. Many understand how a Property Manager helps an investor avoid problems while holding but few understand how getting it right when buying requires the right advice. This is where working with a Property Manager can help. A Property Manager is very motivated to help an investor make the right purchase because they have to handle the day to day troubles that result from a wrong purchase and residential property investing is an extremely people-driven field. After all, it is the business of providing personal homes. Ultimately, there’s value in having a team of people who are familiar with your investments from a grass-roots level managing their performance. “LandLord Realty's team of Realtors have been and still are experienced Property Managers and many of our Property Managers are licensed to sell real estate,” says Sage. “Good ongoing Property Management keeps your real estate investments secure and protects their re-sale value; effectively increasing the value of your portfolio year over year. Buyers working with Property Managers will develop a better understanding of how a property is managed day-to-day by receiving input before buying about what the risks are with a given property. By 2011, LandLord Property & Rental Management, Inc. had three Senior Property Managers: Gotham Chandidas, Trevor Valade and Brandon Sage, licensed to represent clients through the Property Manager's in-house brokerage, LandLord Realty, Inc.
LandLord Property & Rental Management, Inc. has specialized in the acquisition and management of residential properties in and around Toronto since 1996. It serves the owners of multiplexes, condo suites and single family homes - be they seasoned income property investors or those needing their home tenanted while relocated abroad. We are driven to provide to small-scale landlords exceptional levels of service by incorporating the most advanced technologies, proven practices, and experienced staff that typically only the largest management firms can offer. The end result is a landlord’s property is kept rented, collected, and quiet!